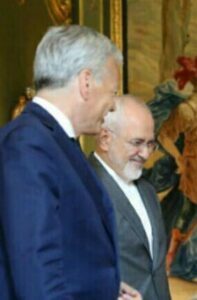 Iran’s Foreign Minister Mohammad Javad Zarif has discussed issues of mutual interest in a meeting with his Belgian counterpart in Brussels. During the Tuesday meeting with Didier Reynders, who is also Belgium’s deputy prime minister, Zarif elaborated on the latest situation in the occupied Palestine and underlined the necessity of ending Israeli atrocities against Palestinians. Zarif touched upon Iran and Turkey’s diplomatic efforts at the regional and international levels, and called on the international community to put pressure on Tel Aviv. The top Iranian diplomat also elaborated on the latest consultations held following the United States’ withdrawal from the JCPOA, saying that Iran expects its interests to be secured under the agreement. 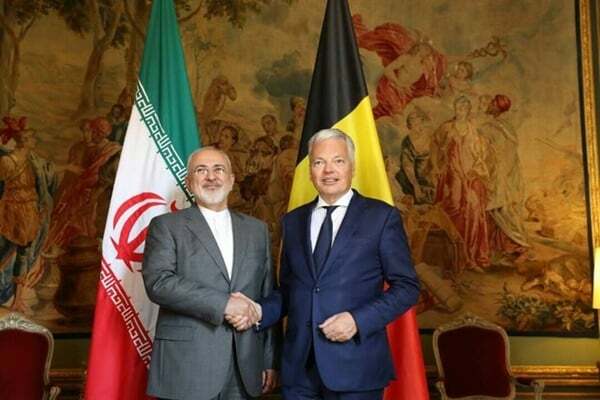 The Belgian foreign minister, in turn, touched upon the importance of preserving the JCPOA and its implementation as an international agreement, saying the EU is holding consultations and discussing ways to keep the agreement without the US presence. The two top diplomats also discussed the latest regional and international developments.